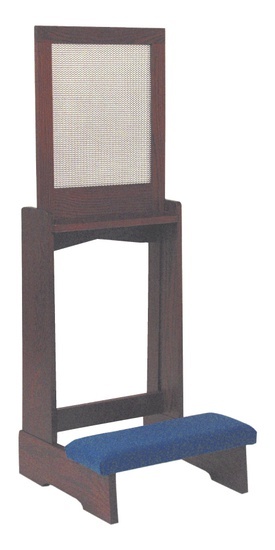 This beautiful Confessional Prie Dieu comes with a padded kneeler and aluminum mesh screen. Woerner 44 Prie Dieu with Folding Kneeler and screen This beautiful confessional has a kneeler and your choice of fabric and stain. Finished with Enduracote III, a specially formulated catalyzed lacquer.